Easy (lazy) way to get your serial number for your Dell, or other OEM system? Need your serial number? Laptop’s docked, or workstation not easily accessible? 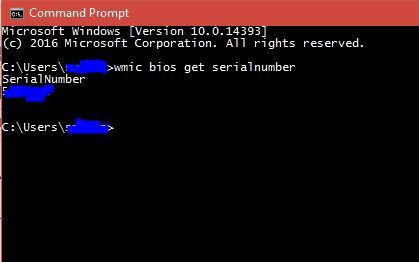 This will return your Dell, Lenovo, etc serial number. The KB provides the info needed to retrieve data from XPMode to migrate to Windows 8.